One of the reasons people flock to Cabo San Lucas every year is because of all the sites there are to see. If you have never been to Cabo, you should strongly consider taking a trip soon! While you’re here, you should consider taking one of the best Cabo San Lucas deep sea cruises available with Guerita Sportfishing. We allow you to experience all that Cabo has to offer when you cruise with us. At Guerita Sportfishing, we normally operate as an offshore fishing charter for new and avid fishermen. We bring them out to the deep sea and allow them to fish for some of the most amazing fish in the world. 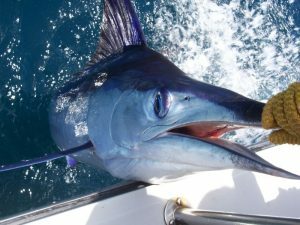 Would you like to learn more about the Deep Sea Fishing Charters available through Guerita Sportfishing? If so, please give us a call and let us answer any questions you might have. We will do whatever it takes to ensure that you have a great time with Guerita Sportfishing!